Visitors to Hermanus are truly spoilt for choice when it comes to boating and river cruises. Boat based whale watching trips take place during the whale season months of June to December; however this may vary depending on the arrival of the whales. Whale watching boat trips depart from the New Harbour in Hermanus and 3 boat trips per day are usually available. The duration of these trips are approximately 2 hours long, however the exact departure times need to be confirmed with the various operators when booking. Other marine life that may be encountered en route include seals, penguins, marine birds, Southern Right whales, sometimes Bryde's whales, dolphins and Humpback whales at certain times of the year. Licensed operators and permit holders are only permitted to approach the whales up to 50m allowing the whales the freedom to move. They are naturally curious and often approach the whale boats to take a closer look. Pre-booking is recommended and all boat trips are weather permitting. Bay Cruises and Sundowner cruises are also available at certain times of the year. For more information, please visit our Activities & Operators page. The school provides all equipment, such as a wetsuit, kites, lines, a harness, impact jacket and a hard hat. The course is divided into three sections with a minimum of 2 hours spent on each section. This is necessary to communicate all the required safety precautions as well as get you ready for your first unaided trip. This means that you will have to do a minimum of 6 hours before you will be able to kite-board safely on your own. The lessons are worth it though, as you will soon feel the exhilaration of navigating the shores of the lagoon at speed. The Klein River Lagoon offers a peaceful retreat especially when discovered from a canoe. The Klein River is also known as the Hermanus Lagoon, situated approximately 5 km outside Hermanus and is 10 km in length, surrounded by the beautiful Klein River Mountains and Walker Bay Nature Reserve. The entrance is situated at Grotto beach in Voëlklip. The area is home to approximately 130 bird species, including some of the rarest coastal breeding birds in Africa including the impressive fish eagle. Keen fishermen are attracted to the area and fish species include steenbras, harders, springers, elf & kob. The lagoon also offers breathtaking sunsets and a unique setting at full moon. 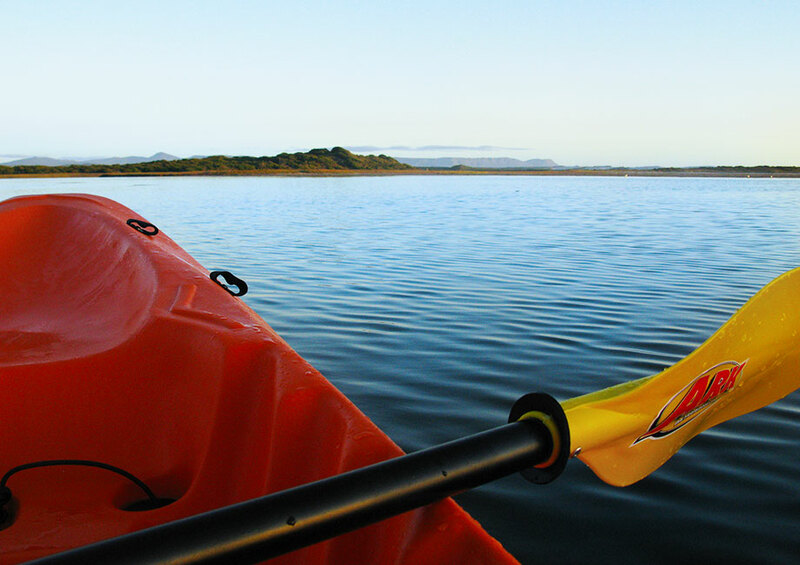 Your sea kayaking trip will start in the historic Old Harbour in Hermanus where you will meet your Walker Bay Adventure guide to discover the magic of this unique coastline with its abundant marine life and fantastic whale watching in season. All guides are qualified in marine guiding and first aid at sea, however more importantly they are passionate about the ocean and have extensive knowledge of the bay and weather patterns. Their kayaks are manufactured in the UK and very stable enabling anybody to take part in this exceptional adventure activity whether you have prior experience or not. Shark Cage Diving has grown exponentially in popularity over the last few year and is undeniably one of the most thrilling experiences on the planet and not for the faint of heart. 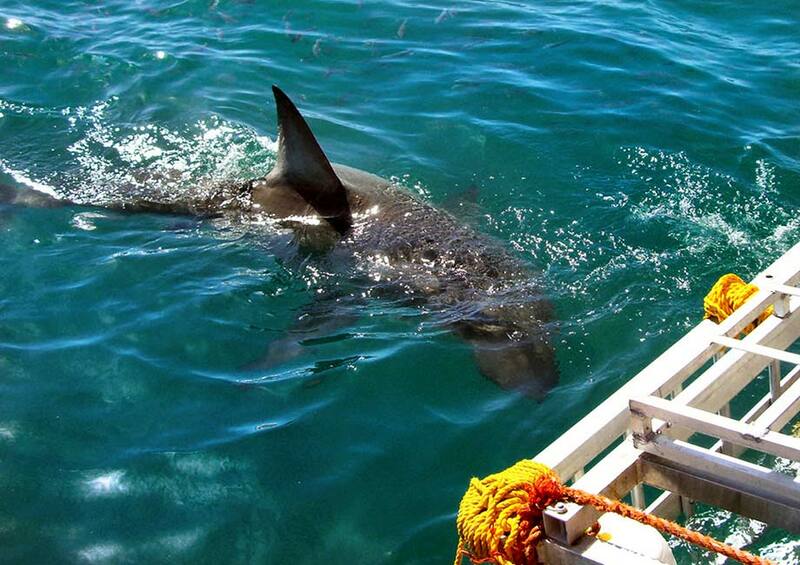 In the Overberg region, Shark Cage Dives are conducted from Gansbaai, situated approximately 40 minutes outside Hermanus. A number of tour operators offer shark cage diving trips and pre-booking is essential. Although an adrenaline pumping experience, the activity is extremely safe and if all the safety precautions are taken and followed it will become one of your best memories. 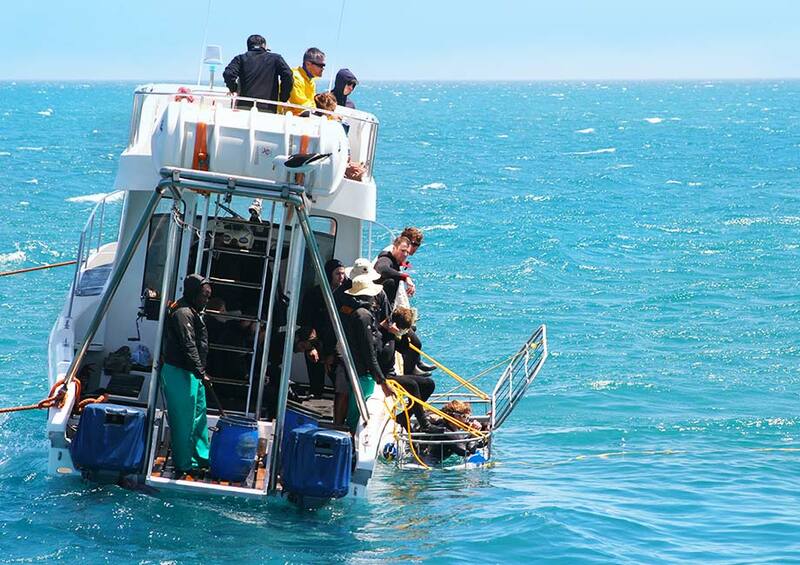 These dives take place in the picturesque Kleinbaai Harbour with full wetsuits and caging supplied. Diving equipment is also supplied, along with an optional DVD of your experience. All trips are weather and tide permitting and divers and non-divers can enjoy this fascinating excursion. No prior diving experience is required. This is an experience worth having, if only to get up close and personal with the sea's most terrifying and magnificent predators. Hermanus has been recognized by the WWF (World Wildlife Fund) as one of the 12 best whale watching destinations in the world. The best time to enjoy whale watching in Hermanus is between July and November either from the beach, the famous cliff path, by boat or from the air via a scenic flight. The whale viewing during the months of July and August vary from year to year with regards to how many whales are present in Walker Bay and along the coast; however you are almost guaranteed of seeing whales in September, October and November. For those with a more adventurous spirit, a guided sea kayaking trip promises to get the adrenaline going and offers a unique opportunity to watch whales and explore the magnificent coastline. 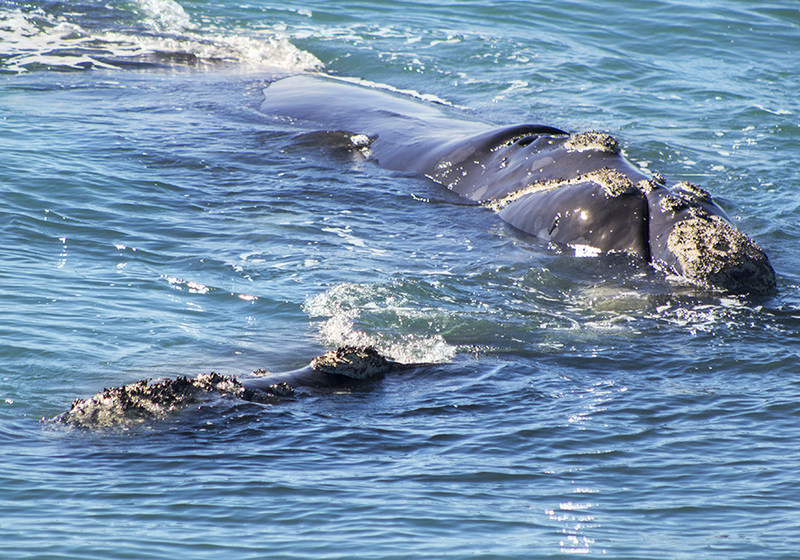 Hermanus, particularly Walker Bay, is the mating and breeding grounds of the Southern Right Whales during the winter and spring months(from June through November). Southern Right Whales migrate from the Antarctic around June to calve and mate. Calving takes place in August and September and the males arrive for mating in October when the whale population peaks. The cliff path offers 12km of the best whale watching view points in the world, stretching from one end of Hermanus to the other. At certain points whales can be seen playing as close as five meters from shore. Drive south on Westcliff Road and park at Fick’s Pool. Take the cliff path towards the New Harbour for about 100 metres and arrive at Dreunkrans – a popular whale watching site. Park at Fick’s Pool or in Marine Drive and make your way to Windsor Bay. Gearing’s Point, overlooking the Old Harbour, gives an uninterrupted view of the ocean. At the Old Harbour viewing terraces are available with spectacular views over Walker Bay. Information boards provide basic information about the whales. Drive down Main Road towards the beaches (north-east) and take the turn-off to De Gang at Berg-en-See to arrive at De Gang View Point. One of the most popular locations in Hermanus for whale watching is Siever's Point, which is closest to where the whales frolic. The Kwaaiwater lookout point is accessible by vehicle. 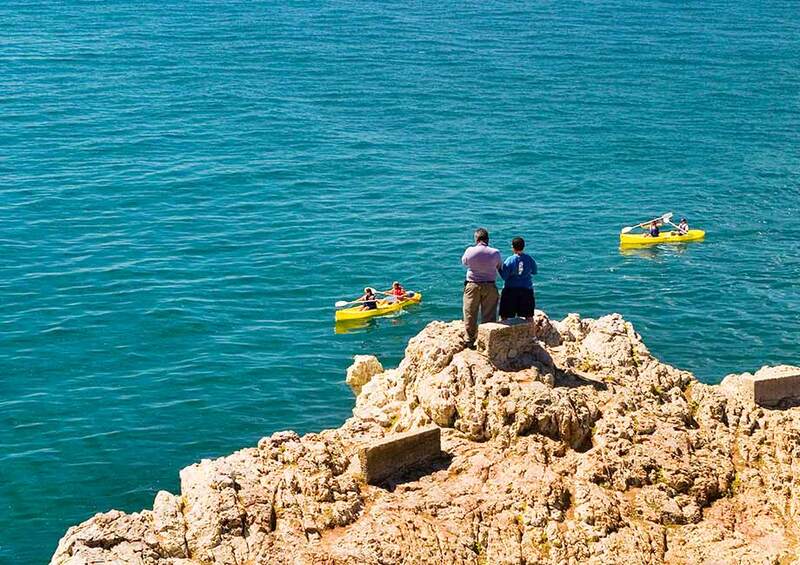 The Voëlklip and Grotto beaches are perfect for whale spotting and watching, especially on the rocks above the sea.